The Genealogy Gems Podcast with Lisa Louise Cooke - Your Family History Show: Episode 62: Let's Go Genealogical Channel Surfing! Jim Mowatt over at the HistoryIne podcast invited Lisa to be a part of the show. Jim has always been a macro history guy, but he has finally caught the genealogy bug and he invited me to come on and give a pitch to his listeners about why researching their own family history can be fascinating and actually dove tail into their love of world history. Historyzine Episode 14. 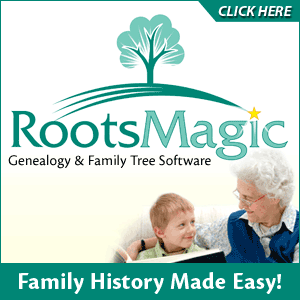 Genealogy Gems was featured in the March 20, 2009 World Vital Records Newsletter. I recently interviewed Steve Nickle the President and Chief Operating Officer for familylink about their brand new website that will be launched here in the next few months called GenSeek. Genealogy Gems Podcast episode #61. In today's episode it's time to shake off Winter and we're going to do some Genealogical Channel Surfing! GEM: Part 3 of Lisa's Interview with Darby Hinton, Actor and Producer Grab your surf board and get ready to ride the wave of the final segment of my interview with Darby Hinton who played Fess Parker's son for 6 years on the old Daniel Boone series. In today's episode Darby is going to tell us all about his brand new television series that he's working on called Hintons Living History. In Episode 60 Darby Hinton shared what it was like growing up in Hollywood the son of an actor, and a child actor himself. In Episode 61 I got a chance to share the research that I did on the Hinton Family Tree with Darby & his wife Shan. In this final interview, Darby explains how his background in Hollywood and his interest in his family history have merged together in an exciting new television series that he's producing called Hintons Living History. GEM: Hang Ten with Ken Marks, Executive Producer of Legend Seekers. We spent Episode 22 of my Family History Genealogy Made Easy podcast talking to Ken about this new show that features the discovery and portrayal of real life family history stories. In today's interview, Ken is going to give us a personal look at their brand new website that just launched this week, and how YOU can submit your own family stories for inclusion in the series! So grab your remote and get ready to channel surf the genealogy wave! GEM: Who Do You Think You Are TV Series Scheduled Bloggers are reporting that the new Who Do You Think You Are TV series which is coming to America from the UK has won it's spot back on the Spring calendar. It's great to see this wave of genealogy shows hitting the airwaves, and my hope is that it will bring genealogy to the forefront of the television viewers minds as a fun and challenging endeavor.